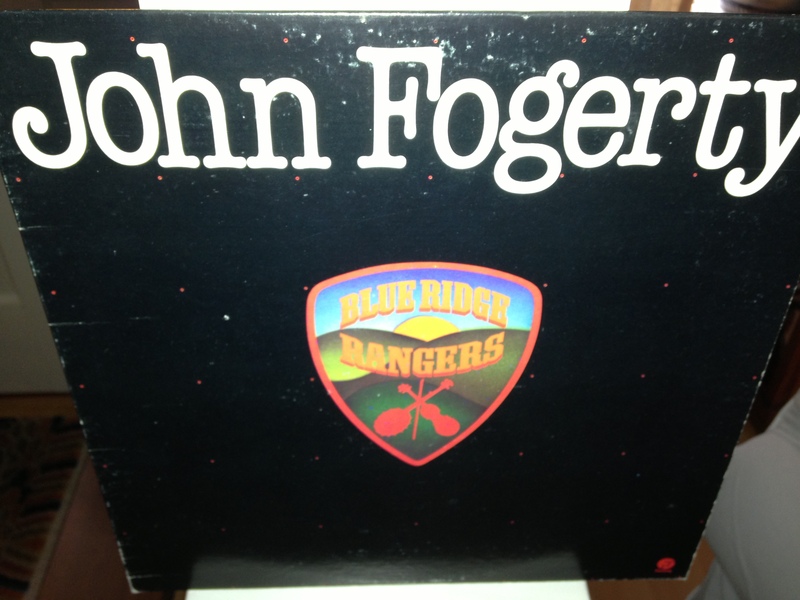 With Beatle-mania sweeping the land, I decided to buy my first LP. I took the Greyhound Bus into Toronto from my hometown of Newmarket (aka Micklemarket), and walked over to the legendary Sam the Record Man on Yonge Street, retail beacon for hundreds of thousands of baby-boom, Ontario teen-agers. 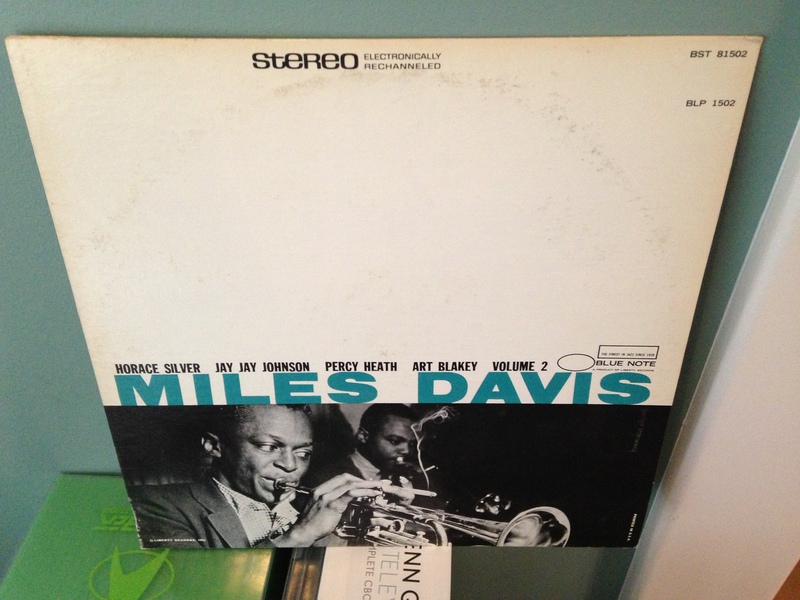 Not only was Sam’s stacked with three floors of records, they were cheap — $3.99 mono, $4.99 stereo. Of course, I opted for mono. Instead of joining the huge line-ups of moptop-mad customers on the packed first floor, however, I headed to the placid sanity of the jazz, folk and blues section one floor above. There, a kindly man in a baggy sweater named John Norris held court, dispensing the most knowledgeable music advice in the country. After a brief discussion with the great man, I plunked down my $3.99 for that treasured first disc. 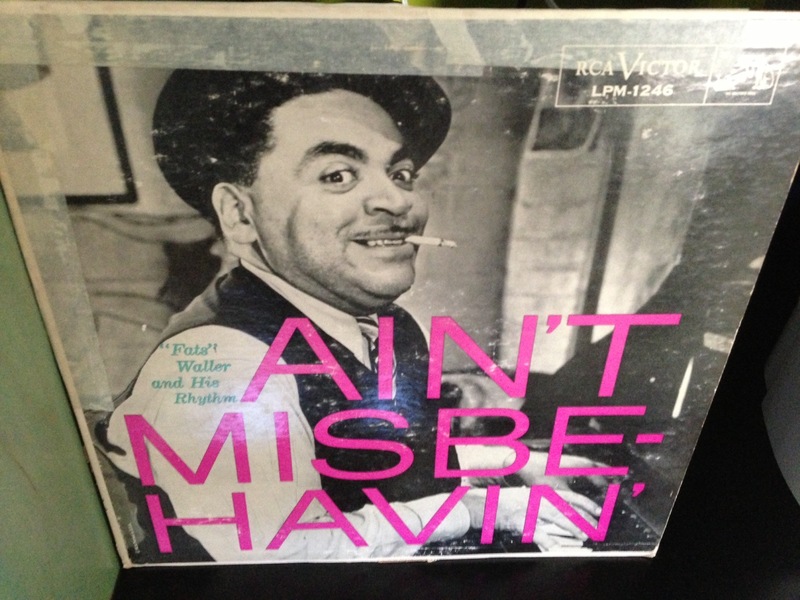 While millions bought the Beatles, I went home with Ain’t Misbehavin’, by Fats Waller, the roly-poly, fun-loving, jazz piano player who died in 1943. I couldn’t have been happier. I must have listened to that record a hundred times. I still know all the lyrics. (Up at Harlem, at a table for two, There were four of us, me, your big feet and you. From your ankles up, you sure are sweet, from there down, there’s just too much feet…) Yes, I was a strange lad. And so began my love of vinyl — albums with learned liner notes, real covers, sold in record stores, where one could browse happily for hours. 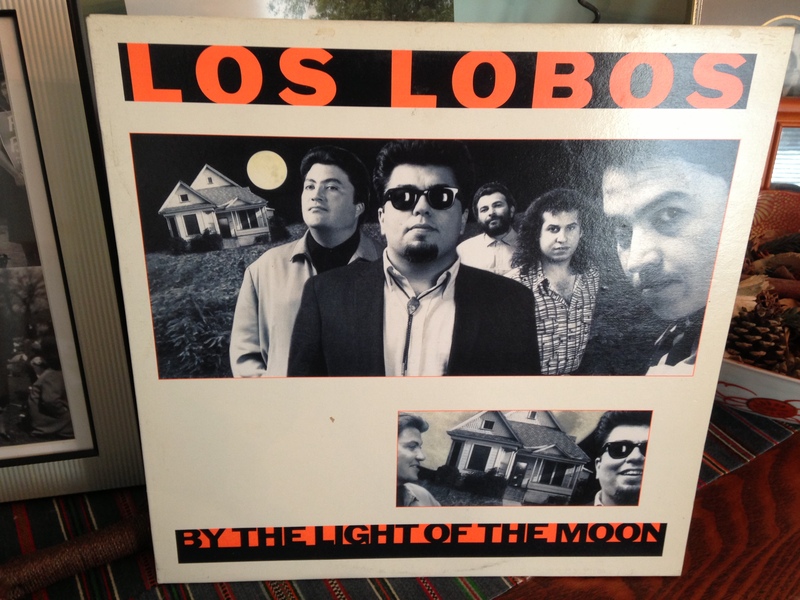 Like many, I mourned the death of the LP, replaced by soul-less CDs that seem to go on forever, complete with miniscule, often unreadable liner notes. Now, of course, CDs, too, are dying, replaced by the even less satisfying, instant gratification of iTunes, where everything is available with a click or two, and rarely is anything treasured. 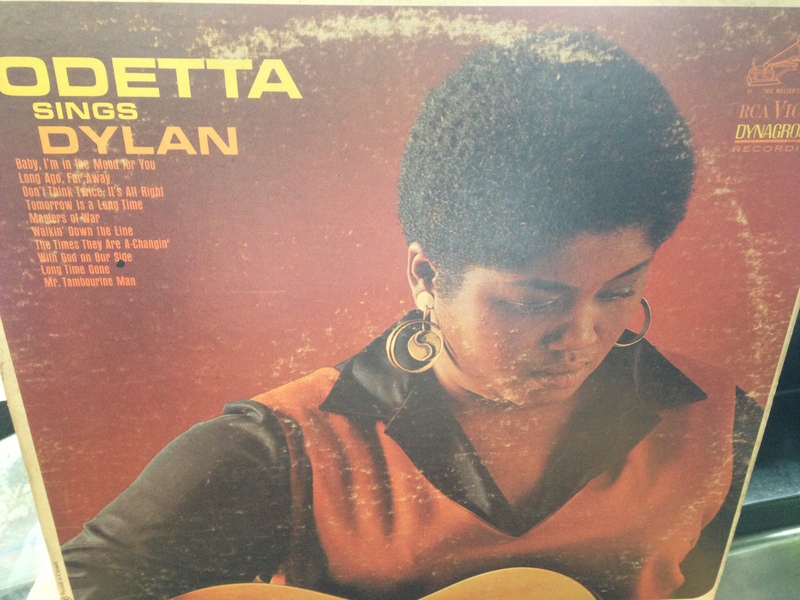 Luckily, my mother never got hold of my LPs the way she did my long-gone baseball card collection (sigh). And I could never bring myself to unload them as so many others did, at yard sales and thrift stores across the land. Hundreds and hundreds of albums still stack living room shelves and fill basement boxes. So, in honour of the small but growing vinyl revival that seems to be going on, most Saturday mornings I treat myself to “Vinyl Saturday”, dusting off ye olde turntable, worn needle and scratchy discs for a few blasts from my musical past. Here are a few recent selections…. It’s one of the delights of this funny old world when people show a side of themselves you least expect. A good example took place during Saturday’s closing ceremonies of the Truth and Reconciliation Commission’s unforgettable four days in Vancouver. The man who surprised was none other than Chuck Strahl. Yes, that Chuck Strahl, long-time MP for the right-wing Reform Party, Canadian Alliance and Conservative Party of Canada. The same Chuck Strahl who supported his government’s killing of the Kelowna Accord that had promised billions of dollars in aid to the country’s aboriginal population. And, during his three years as Minister of Indian and Northern Affairs, Canada was one of only four countries to vote against the UN Declaration on the Rights of Indigenous People, while treaty negotiations in B.C. ground to a virtual standstill. On the plus side, the government’s profound apology to residential school survivors and settlement of their class-action lawsuit occurred while Mr. Strahl was still at the helm of Indian Affairs, but few would suggest the Harper government he served was in any way a beacon of empathy for native rights. Quite the contrary. So, when he was sworn in as an Honorary Witness to the intensely painful and emotional testimony of the scarred survivors of native residential schools, there must have been more than a few raised eyebrows. What would he say at the end of it all? The usual political patter that what went on was wrong and must never happen again? Sure, but would he say more? Freed from the restraints of toeing the party line, now that he is no longer an MP, Mr. Strahl rose to the occasion. Ignoring a scattering of boos as he approached the podium, he talked about the difference between aboriginal people and government. It was clear which approach he thought superior. Finally, Mr. Strahl disclosed that he had picked up a lot of material on what took place at residential schools, as he went through the many powerful displays on the PNE grounds. He said he would be giving the material to his grand-daughters, who are being home-schooled. “I did that so they can understand what happened. That should happen for all school age children in Canada,” he said. There were no boos when Mr. Strahl sat down. Like many, I have read and seen a wealth of stories on the tragedies that resulted from more than half a century of forcing helpless native children into harsh residential schools — now out in the open after years of denial and concealment. What could possibly be new? Yet hearing from survivors directly, unedited and in public, at the Truth and Reconciliation Commission sessions in Vancouver has been overwhelming for this grizzled observer. One by one, with great dignity, they slowly mount the stairs, position themselves before the microphone, and recount their heart-rending experiences, often in tears, before hundreds of rapt members of the public. And these are just a handful of painful recollections from the estimated 150,000 native children locked up over the years in those dreadful schools. Every one of them would also have a story. Not all were tragic. Some children came out okay. But basically, what took place represents such a collective shame for this country and its churches as to defy comprehension. At the same time, it’s important to point out that there has been just as much healing and hope as heartbreak. The resiliency shown by both survivors and the overall native community and their determination to move forward are truly inspiring. It’s a difficult event for the media to cover, since hearings have been going on across Canada since 2010. Finding fresh angles isn’t easy. But for myself, no longer facing daily deadlines, the experience has been profound. Thursday, for instance, was a real roller-coaster ride of emotion — tears, laughter, tears, and a bit more humour towards the end. But then the buoyant Ms. Edwards began to smile. She remembered coming across a herd of cows, while they were out for a walk. “The nun told those cows to blink. And they all blinked.” She laughed. “I always loved that.” There was more laughter over the time she was spared the strap, because the nun’s beads and robe got all tangled up. And yes, the time they made some crude moonshine out of pineapple juice, sugar and yeast, stolen from the pantry. “When the sister came to check on us, she could smell it. She found the jug. But we didn’t get expelled. We had to stay there,” Ms. Edwards chuckled. As many have before her, however, she went on to tearfully apologize to her children for being a poor parent. “I was strict. I didn’t know how to hug them.” After she got up to leave, her husband Rollie leaned into the mike. “She turned out to be a great grandmother,” he said. It was my turn to cry as l listened to the unbearably sad story of Deborah Johnson, who recounted the terrible day when her mother let go of her hand and left her behind for the first time. She was five years old. Her brand-new dress and shoes were tossed into a bin, her beautiful, waist-length hair cut off. When she tried to run after her mother, the way was blocked. She managed only a glimpse of her in the parking lot. She saw her mother’s head thrown back. The impact was devastating. Ms. Johnson was overcome with the realization of what she had lost by hating her mother all those years. “We talked for three days. She just wanted me to move forward.” The school also cost her a normal relationship with her siblings and the ability to be a good parent. “I hope one day I will be a grandma and do better,” she said, wiping her eyes. Later, I took in Mitch Miyagawa’s light-hearted but affecting family documentary, A Sorry State. His Japanese-Canadian father was apologized to for his internment. His aboriginal step-mother was apologized to for her residential school childhood. His Chinese-Canadian step-father was apologized to for the head tax. A nice ending to an emotional day. 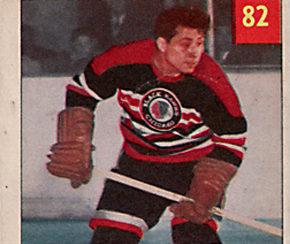 A further upbeat note is this lovely story by the Globe’s Andrea Woo on the legendary Fred Sasakamoose, residential school survivor and the first full-blooded Indian to play in the NHL. Boxes of precautionary Kleenex were placed along the boards of the ice-less Pacific Coliseum and among the hundreds of attentive spectators. Scores of green-vested health support workers roamed the aisles and corridors, looking for people in distress. It was the Truth and Reconciliation Commission’s first session in Vancouver, giving survivors of native residential schools a chance to tell their harrowing stories in public. Testimony was expected to be dark. And indeed, there were plenty of tears as survivors came forward to courageously recount their long-ago experiences as children, wrested from their families and thrust behind the terrifying doors of church-run residential schools, far from home. The first to testify was Margaret Commodore, who has returned to her Sto:lo roots, after many years as a member of the Yukon legislature. Here is some of what she said of her seven years at the residential school in Port Alberni and the deep pain she suffered later in life, when the nightmares came flooding back. “You keep it hidden for so long. You don’t deal with it. 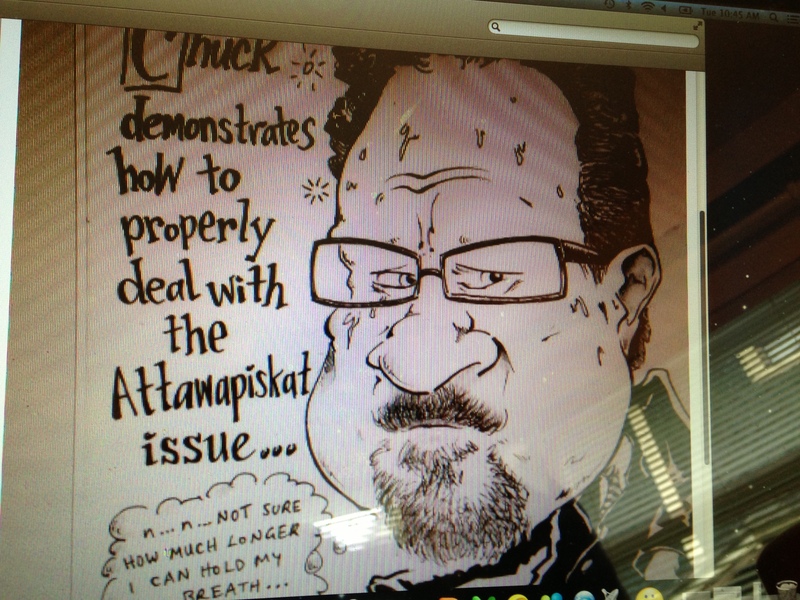 Residential school does not teach you how to be a parent (tears from her daughter) ….It made me really, really angry. Because I was taken away, no one had ever taught me to be a parent (tears)…. “For a long time, it didn’t appear to affect me…Then one day, I was in a gallery, looking at some Jim Logan paintings, and every one reminded me of residential school. My reaction was totally unexpected…(tears)…All of a sudden, I felt something I never felt before. I went back to the office, turned my chair to the wall and I started crying. The tears flowed for a very long time. That’s when I realized what had happened to me was not normal, that I had been in denial…. “I remembered things I had never thought about. They were so vivid, as if they had happened the day before….That’s when I began to feel the nausea that affected me for the next few years. The hurt made you want to scream and throw up. You are trying to get rid of something that was there for a long time. I went into a sweat lodge and I screamed, trying to get rid of that horrible man…. Ms. Commodore’s final words were overwhelming. Those listening reacted with whoops and prolonged applause, as Ms. Commodore slowly left the stage, assisted by her two, teary-eyed daughters. The TRC also heard equally moving testimony from Leonard Alexcee, who recounted his repeated sexual abuse from an employee at the same Port Alberni school, and Sainty Morris, who wetted many eyes with his sad tale of being forced by a priest to drown a puppy his young cousin had brought to the school. These are only three stories. There are thousands and thousands of others. A national shame is on display. Yet the over-rding message for all, including survivors, has been to learn and go forward. “We need to stop walking into our future backwards,” observed Justice Sinclair. Sharing sessions continue Thursday and Friday at the PNE. Recommended. I have been to innumerable media briefings over the years, but never one quite like that by the Truth and Reconciliation Commission (TRC) on Monday. Ahead of personal testimony later this week by survivors/victims of the country’s native residential schools, journalists were given a stark warning that the harrowing nature of what they hear could be traumatic. “You are heading into a war zone…an emotional war zone…[and we] don’t want you to step on any land mines,” Commissioner Marie Wilson told reporters. To that end, she said a Health Canada support team to assist those who testify will also be available to others, including “toughened journalists”. “We don’t take this lightly. They are here for all of us. Do not hesitate to call on someone, so that everyone goes home safe and sound,” Ms. Wilson said. For once, reporters were silent. Chief Bobby Joseph, ambassador for Reconciliation Canada that aims to learn from the tragedies of the past and go forward, had a different, albeit equally sobering, message for the media. He urged them to be part of the solution. “This is a social human problem that Canada needs to address. If you report these stories in the same old way, that inspires no one, we will get nowhere,” said Chief Joseph, with a benign smile. The TRC was part of the package that settled the largest class action suit in Canadian history, a settlement that also provided a full apology by the federal government and nearly two billion dollars in compensation to residential school survivors. 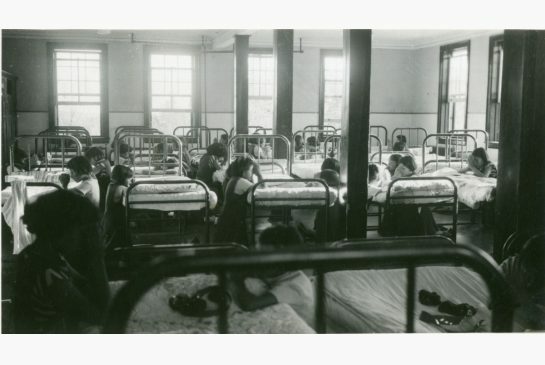 The TRC is charged with compiling a history of the residential schools, in large measure by hearing from those who experienced them. Ms.Wilson said some respond to the challenge by speaking from the heart, without notes. Others start weeping before they utter a word. 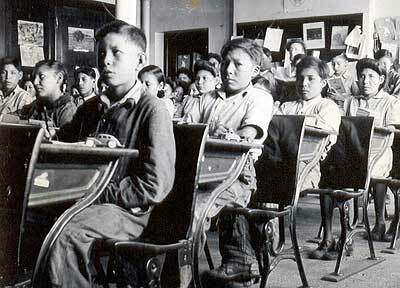 Few of us, if any, can imagine the pain, loneliness and outright abuse native children suffered in the schools forced on them for more than half a century. They lost their culture, their language, their sense of identity and the crucial comfort of family surroundings. Though the schools eventually disappeared, the emotional scars left behind are very much with ‘us’ still, in the shattered spirit, alcoholism and dysfunctional parenting that have plagued native communities ever since. There have been many shameful government policies in the past, but surely, this is one of the worst. This week, it is Vancouver’s turn to host the TRC. Hearings begin Wednesday at the PNE. Many powerful side functions are also scheduled. This is shaping up as an event unlike anything this city has experienced. In the Shadow of Gold Mountain is a moving, 2004 National Film Board documentary by Karen Cho on the Chinese-Canadian community’s long struggle for redress over the odious head tax forced on all Chinese immigrants until 1923, when the policy was replaced by the even worse Exclusion Act. That banned immigration from China completely for the next 24 years. Immigrants from no other country were treated this way by Canada. The campaign finally succeeded in 2006, tho few head tax payers or their spouses remained to receive the government’s long-denied compensation. Los Canadienses is a terrific documentary, also produced by the National Film Board, on the Canadians who volunteered to fight for the Spanish Republic against Franco’s fascist forces, which were supported by Mussolini and Hitler, while western democracies did nothing. The documentary was directed by Albert Kish and released by the NFB in 1975, when the Canadian brigadistas were still relatively young and full of piss and vinegar. It’s narrated in his usual immaculate manner by the legendary Donald Brittain. This in commemoration of Jules Paivio, last surviving member of the Mackenzie Papineau Battalion (the Mac Paps), who has died at the age of 96. 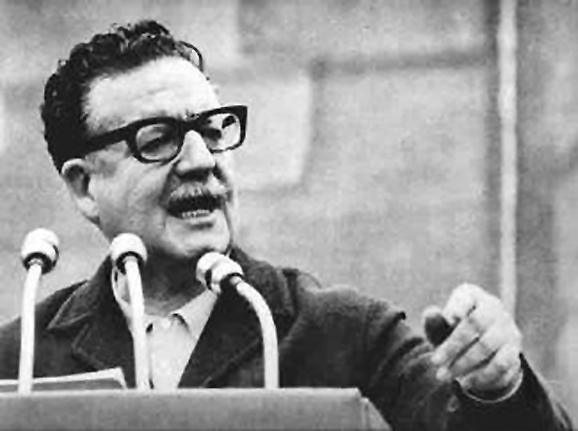 Wednesday (9/11) was also the 40th anniversary of the murderous overthrow of Salvador Allende’s elected, socialist government in Chile. Thousands of miles to the north, the violent coup had a profound impact on Dave Barrett, then head of B.C.’s first socialist administration. He ordered flags flown at half-mast and began to wonder, darkly, about the fate of his own government, given the supportive role of the CIA in toppling Allende. The NDP had already aroused shock and anger south of the border with such radical measures as the Agricultural Land Reserve, nationalization of auto insurance, buying up pulp mills, and, particularly, boosting the export price of B.C. natural gas. There were dire mutterings that Communists were in charge. At the same time, there was circumstantial evidence that U.S. operatives really were nosing around Victoria. Observed cabinet minister Ernie Hall: “The CIA is everywhere else. Why not here?” By 1975, Barrett’s concern had reached the point of discussing privately who should take over if he were assassinated. “If they want to get me, they will,” he told confidantes. Barrett’s outrage over the coup, itself, had been intensified by Canada’s unseemly swiftness in recognizing Chile’s new military government, helped along by cables from our ambassador that dismissed Allende supporters as “riff-raff”. It is a matter of fact that it is a military illegal act against the Chilean government – a violent overthrow, with murder accompanying it. It is obvious to us that the federal government acted in haste… it is a question of consulting one’s conscience. It was obvious after the examination of the facts that that government is tyrannical, anti-democratic, and should not have been recognized by the federal administration.